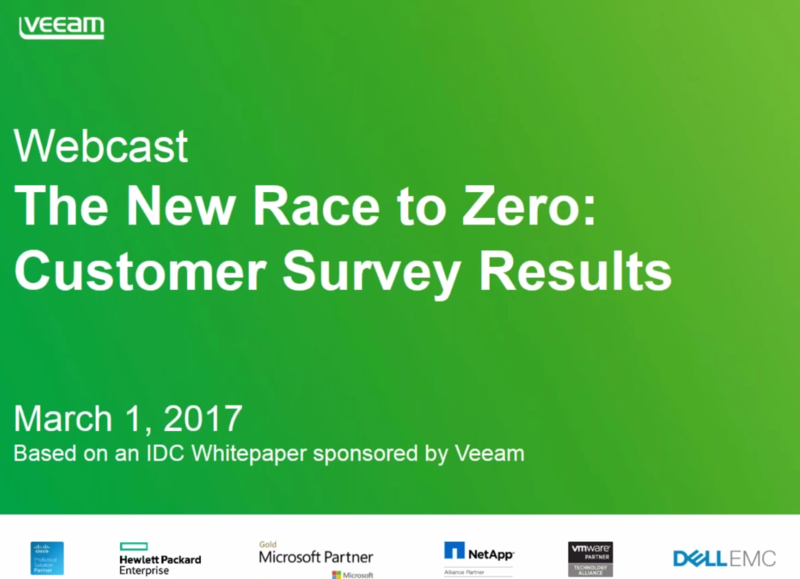 The NEW IDC research, Veeam Customer Survey: Using Veeam in the New Race to Zero, focuses on experience and business results Veeam® customers have achieved in using our solutions. In total, 975 companies were surveyed on the SLA compliance, solution reliability, cost impact and personnel efficiency areas. In this recorded webinar, John Metzger, Global Product Marketing Vice President at Veeam Software, interviews IDC Research Director Phil Goodwin on the survey results and key findings.